Overview: The last Saturday of each month you can come in in and speak with our Indian Motorcycle Gold Certified Techs about your bike. If you have a new bike or an existing bike and you'd like to learn more about the maintenance or technology of it, stop in and ask your questions! 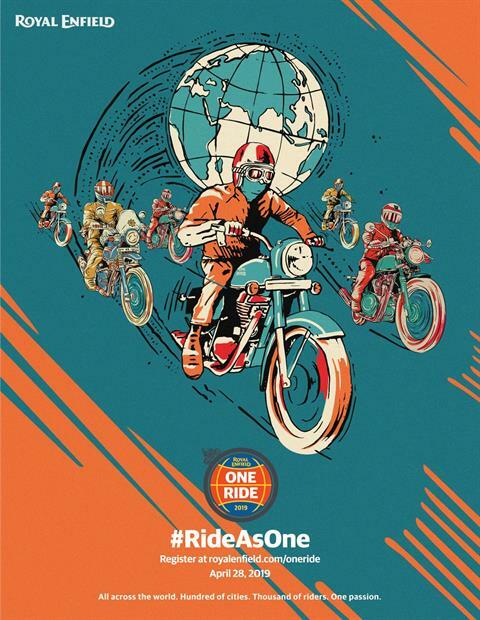 Overview: Since 2011 Royal Enfield has celebrated the "ONE RIDE". On this day Royal Enfield dealership owners all over the world are encouraged to take their motorcycles out and ride. This is a day that marked the beginning of riding season in many parts of the world. This year the" ONE RIDE" will take place on the 28th of April 2019. On this day, Royal Enfield dealer customers are encouraged to meet up with other Royal Enfield dealership owners and ride together celebrating what is absolutely core to Royal Enfield - the enthusiasts and the community. This brings together different levels of enthusiasts in the ecosystem,from new to experienced riders, and therefore the activity provides an opportunity for all Royal Enfield owners to get together, ride and bond. We will be meeting here at Indian Motorcycle of Metro Milwaukee at 11:00 am and leave for our 1st stop The Dirty Hoe Saloon Bar and Grille in Kansasville then to LD's BBQ in East Troy for lunch. Feel free to ride back with us as a group or continue on your own ride afterwards. This is a global event, all in different countries, regions, and cities, all on different routes and paths. What brings them together is the passion for their Royal Enfield's. Overview: Join Indian Motorcycle of Metro Milwaukee at Paulie's Pub in West Allis every Tuesday night for their Racing Roundup Radio Show. Rob, Dave or Trevor will be speaking on the radio show along with other guests. Come and enjoy the fun and the great food, drinks and raffles! If you can't attend tune in on The Big 1070 (WTSO-AM). Overview: Come and watch the high school Build Moto Teams compete on the Dyno. Overview: Join us for our Annual Spring Rustic Roads Tour of Southeastern Wisconsin. Some of you may have been on this popular ride with us last fall. The route will leave the dealership at 10;00 am and will return to the dealership at 3:30 pm. There will be some time in Lake Geneva to enjoy lunch or shop before we continue on this scenic ride. Please RSVP via Facebook "Attending Event" or via email: MetroMilwaukeeRidersGroup@gmail.com. All licensed riders are welcome. There will be a waiver form to sign before we ride. Overview: Join Indian Motorcycle of Metro Milwaukee at the Road Runner Motorcycle Club's bike blessing. The Blessing of the bikes will be held at 2:00 pm. Vendors, raffles, door prizes,$5.00 ride-in bike show , free beer and music by Almighty Vinyl will be included in the admission. Admission in advance is $12.00 per person/ $20.00 per couple. Admission at the gate is $15.00 per person/$25.00 per couple. A portion of the proceeds from this event will benefit Children's Hospital of Greater Milwaukee. There will be an Indian category in the $5.00 bike show and we need your Indian there for the competition! Please let Trevor know if you can make it so that we know how many Indian motorcycles will be attending. 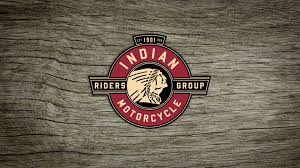 Overview: Join us for our premier Indian Motorcycle Riders Group of the Greater Southeastern Wisconsin area's monthly riders meeting, dealership updates and upcoming rides! The location does vary. Please contact Stan Bullock (President) for the location and any other questions at StanB@indianmetromilwaukee.com or checkout our Facebook page: Metro Milwaukee Indian Motorcycle Riders Group. Overview: Come ride an Indian Motorcycle and tell us ALL about it when you come back from the ride. We want to hear about your experience! There is really nothing like it! All riders and passengers must be 18 years or older and wear proper riding attire (DOT approved helmet, closed-toe shoes, long pants, and eye protection). All riders must also present a valid motorcycle endorsement. Overview: Join us for the 3rd Annual "The Ride"
Registration for The Ride will begin at 10;00am at Matty's Bar and Grille. This is a no fee ride. At 12;00pm motorcycle riders are to make their way to the 4 designated stops. Hit all 4 stops and return to Matty's Bar and Grille at 4:00pm for a Backyard BBQ, live music and your chance to win a variety of prizes! Can't join us for The Ride? Just join us at 4:00pm for the BBQ! Overview: LD'S has made the leap of faith that we can get this 2019 Indian Scout Bobber raffled off on May 19, 2019 to help raise money for the Walworth County Sherriff's Dept. to get some much needed new equipment. This is your chance to win a brand new 2019 Indian Scout Bobber for the 2019 Riding Season! Tickets on sale now at LD'S for $20.00. The winner will be announced May 19, 2019. LD'S will also be having a BBQ seminar with barbeque information from A to Z. The cost of this is $20.00 and food will be provided. Drinks must be purchased. LIve music will be provided by Reverend Raven and the Chain Smoking Alter Boys at 3pm and also The Spectaculars at 5:30! Join us at his event and enjoy good food, good Blues music, and good friends! Overview: Come and support the Build Moto Mentor Program and vote for Muskego High School's team. 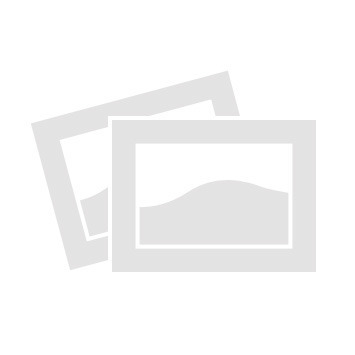 Overview: Come join Indian Motorcycle of Metro Milwaukee for LD's Bike Night . LD's is dedicated to fun and friends every Thursday during the riding season. Come and enjoy a FABULOUS BBQ and enjoy new relationships that come out of this group! Overview: Indian Motorcycle of Metro Milwaukee will be hosting a Bike Blessing to kick off a safe riding season. There will be Live Music by Robert Allen Jr.,vendors, food, In shop Dyno Pulls and 100 Commemorative Limited Edition patches. Overview: Come and join us at this ride-in vintage motorcycle show featuring live music, vendors and food. Everyone is welcome- riders and motorcycle enthusiasts alike. It doesn't matter the make, model or condition of the bike. Proceeds from the Rumble support the BUILD Moto Mentor Program. Overview: Enjoy along with Indian Motorcycle of Metro Milwaukee, live music, raffles, food and cheap beverages at Foxx View Lanes in Waukesha. We will be there the 1St Monday of each month during riding season . FREE admission to all. This is located behind the Fox Run shopping center on the corner of Sunset Drive and Hwy X (St.Paul). 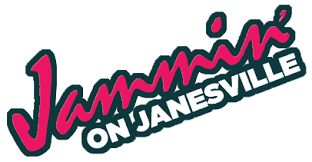 Overview: Join us for Muskego's street festival on Janesville Road! 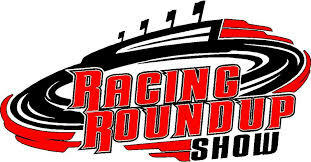 We will have a booth located by the Muskego Post Office, stop by and say Hi!